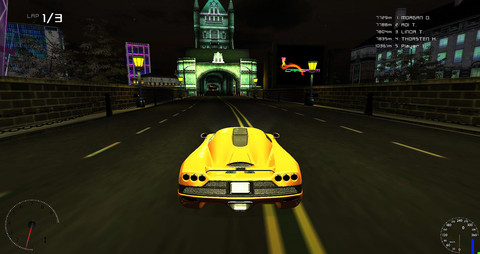 Dream Chaser is at its best during Endless mode, which plays similar to an arcade racing game in the sense that you pass through checkpoints before the character's energy (in place of time) runs out. That's the sort of casual-friendly experience best suited for smartphones and tablets. Where the game falters, sadly, is Story mode. We respect Chillingo's decision to inject a plot into an endless runner, but the long-winded and boring narrative damages the experience. That, and our personal opinion that Dream Chaser brings little to the genre we haven't seen before, aside from flying. The game casts you as Nito the night spirit, charged with finding two Gemini crystals stolen by Guardian Spirits. Ultimately, the developers should have ended the story right there. Instead, there's a sleep inducing cut scene filled with low-resolution art, followed by a somewhat bothersome tutorial that throws too many elements into the equation. It and the plot became so intrusive that we couldn't resist skipping much of the dialogue while pleading with the game to just let us run. Thing is, even that comes up short. Viewed from a behind-the-back perspective, you guide Nito through canyons by tilting the iPhone or iPad left/right and tapping the screen the jump. The controls work well enough, but there are only so many rocks we can leap over before tedium sets in, and this goes for both modes. With Story, the designers broke it into bite-sized levels where Nito can absorb up to three hits from different objects crowding the 3D landscape. With Endless, you play until Nito's energy runs out, which is by far the preferred game type, but in the end, it's merely a tweaked version of a mostly unrewarding title. As for power-ups and unlocked goodies, it's the usual assortment of outfits, a magnet for collecting the game's virtual currency and a "god" that breaks things apart to preserve Nito's health, none of which compelled us to continue playing. Don't get us wrong. Dream Chaser isn't bad per se. It's just woefully average. Considering the huge amount of competition when it comes to endless runners and Chillingo's pedigree, we expected better. 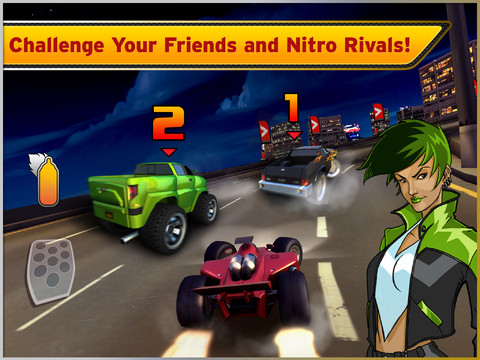 What's Hot:Responsive touch and tilt controls, addictive Endless mode. What's Not:Lackluster plot, annoying tutorial, low-res intro.